A few months ago I finally made the switch to WordPress. First, I have to give a HUGE shout out to Aaron from RFE Hosting! He switched everything over from Blogger to WordPress for me and made it so easy. I’ve emailed him a few times for help with other issues and he responds quickly and has been extremely helpful with everything. If you are switching to WordPress and need hosting, I would highly recommend RFE Hosting. Another decision I had to make was choosing a theme. I emailed two lovely ladies whose blogs I loved and they both used the Vintage Child Theme. So that made my decision super easy. So now comes the hardest part – choosing plugins! This can be confusing and fun at the same time. 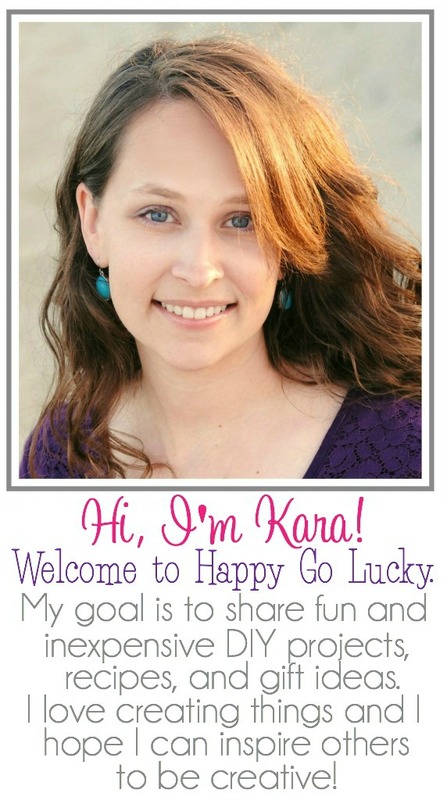 Thank goodness for my awesome friend Amy from One Artsy Mama for recommneding a few of her favorite Plugins. Somedays I just don’t know what I would do without her!! She helped motivate my move from Blogger to WordPress and kept me from freaking out after the switch. I had no idea where to even start when it came to plugins. She recommended a few and after a little research, I found a couple that I really love. Akismet: Protects against spam comments. I was getting tons of spam comnets until I installed this plugin. Jetpack: There are so many features with this plugin! Just play around with it and you will be amazed with all the features. Ultimate Nofollow: Makes it easy to make links no follow. Extremely important for sponsored posts! Hupso Share Buttons: Help your readers share your content on Facebook, Twitter, Pinterest, StumbleUpon, Google+, etc. Very easy to install! Linkwithin: Links similar posts to your current post. This is my favorite one to use because it actually links to similar posts. I had another plugin and the links did not relate to the current post at all. You can see in the picture above how a recent earrings post linked to other jewelry posts I’ve shared. WordPress SEO by Yoast: Allows you to optimize SEO with every post. I’m still learning about SEO but this plugin definitely helps! Fanciest Author Box: I just added this plugin a few days ago and I love it!! It’s easy to install and set up. All the information is updated in your profile under the users section. Category Grid View Gallery: This is by far the easiest, most user-friendly category widget I found. You can see how great my printables page looks HERE using the plugin. I downloaded a few and deleted them as soon as I couldn’t figure things out. The key to this plugin is knowing your category numbers. It also took me a little while to figure out the settings I wanted. Email me if you have any questions and I will gladely help. CommentLuv: Comment plugin that has many features. Another easy plugin because all you have to do is install it. JQuery Pin it Button: Adds a Pinterest “Pin it” button to your images. I tried a few different plugins and I feel this is the most user friendly one. If you have any questions, feel free to email me anytime. I’ve learned that if you see a blog with a feature or plugin that you like, email them! I emailed a few bloggers and they always responded with advice and the name of the plugin. It’s all about sharing and inspiring!! Great choices! My #1 fave is Yoast SEO! I wish I’d seen a post like this when I first switched. And I’m so glad I was able to help you during your stressful “just moved” time! i plan starting my blog in a months time and all this info is so helpful…thanks to you and ur effort to share….